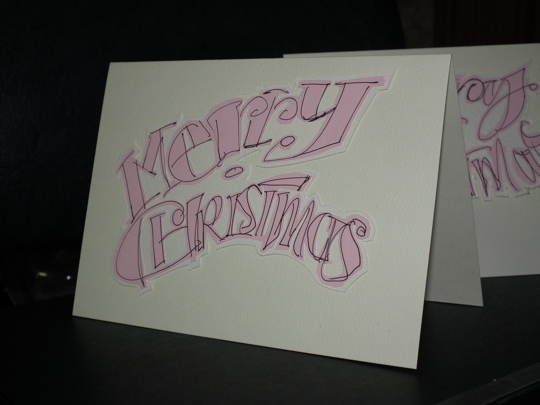 A selection of hand lettered Christmas cards. 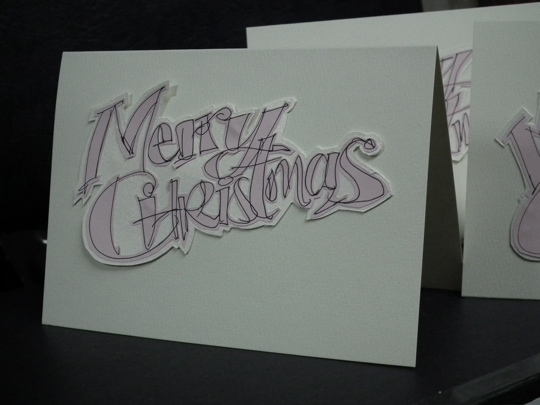 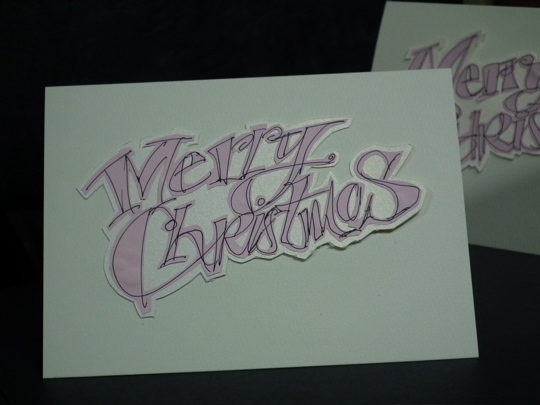 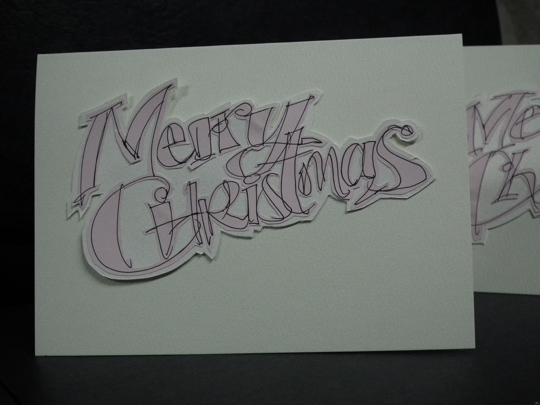 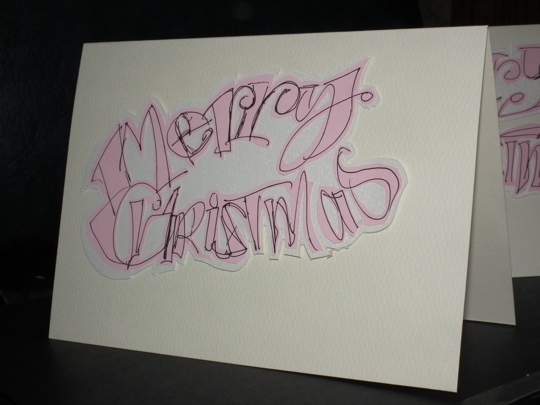 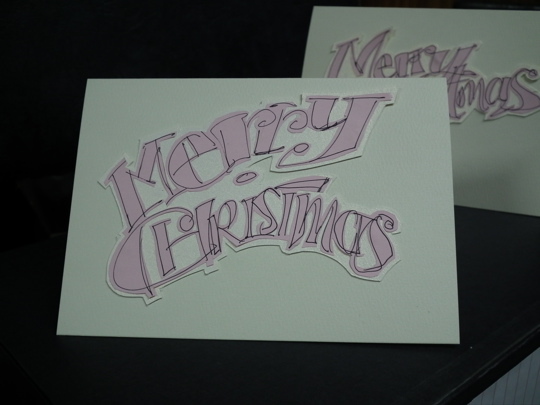 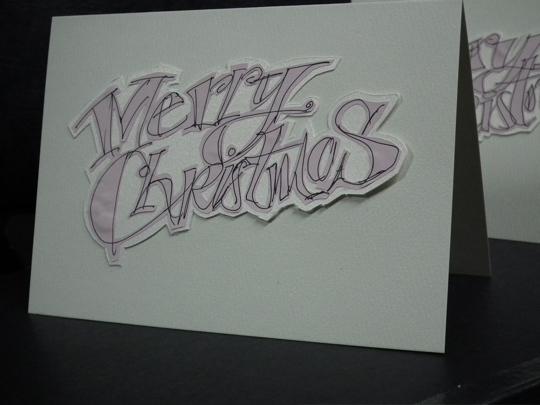 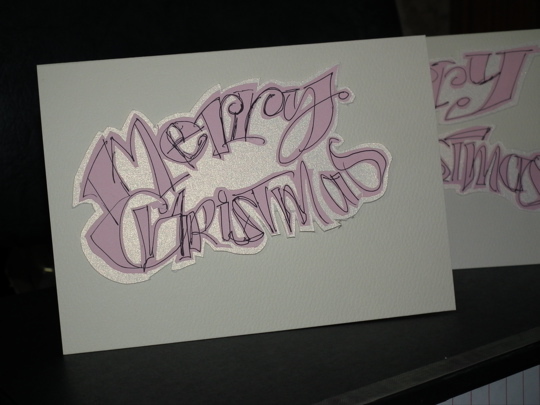 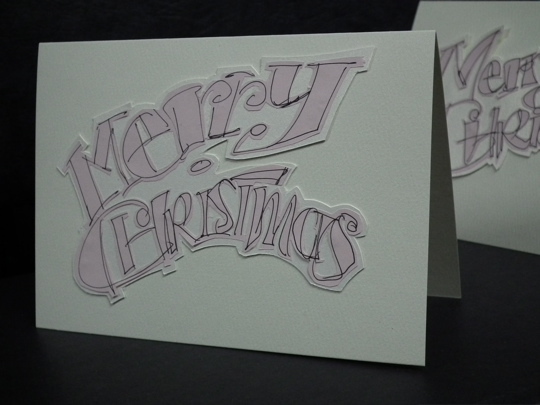 The lettering was drawn on pink paper, cut out & pasted onto an iridescent cream card. 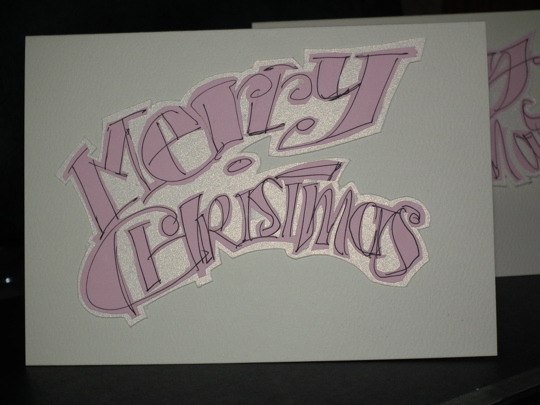 The lettering then cut out leaving a border of iridescent card. This was then mounted on the A6 matt cards giving a slight 3 dimensional effect.